You may have heard that crossing your legs can affect your blood pressure. Is this true? Tap or click to reveal the answer from cardiologist Chad Raymond, DO. A recent study found that barbers in the African-American community, aided by an on-site pharmacist, helped reduce high blood pressure significantly among their customers. 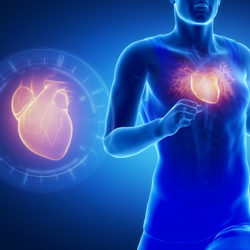 Key measurements reveal the health of your heart and cardiovascular system. Are your numbers where they should be? Tap on our interactive guide to find out. Do you know the symptoms of heart attack? Would you know what to do if you are having a heart attack? Do you even know if you are at risk? Is Your Blood Pressure Too High for a Healthy Heart? High blood pressure (hypertension) raises risks of heart disease, stroke and other problems. Find out what your numbers say about your risks and discover how to lower them as we “decode” your blood pressure. For some people, high salt intake can cause high blood pressure — and create a vicious cycle of heart and kidney damage. Are you at risk? Most of us know that in general, the lower your blood pressure reading, the better. But under certain conditions, low blood pressure could be a cause for concern.